Security threats move so fast that your IT should be working twice as hard as your company just to keep up. Every day, hundreds of thousands of new malware threats are released. Falling behind on the fixes to any of these threats means your business is open for attack. The single most dangerous thing in IT security is to stand still. Keeping up with the latest security updates is vital to keep your business safe. This makes up much of the unseen job of IT professionals. Hackers never stop looking for new ways into your system, which means your security can not stop filling the holes to keep them out. The most common security threat a business opens itself up to is using an out of date operating system or software package. Many firms are scared to upgrade, update, or renew their IT over fears of breaking legacy systems. Many rely heavily on old software and are afraid to make a large change themselves. Some businesses today still run machines on Windows XP, an operating system first released back in 2001. Old operating systems stop receiving security updates and patches that protect against newly released attacks. These systems become more vulnerable and present a large target for knowledgeable hackers. Hackers are always on the lookout for businesses that run IT equipment outside of its suggested service life. An out of date server, desktop computer or peripheral presents a large opportunity for criminals to enter and threaten a business. Hackers can purchase malware on the dark web knowing that old systems won’t be patched. These hackers can then attack old and unguarded systems to steal or compromise vital company data. An unpatched old machine is like a valuable security door left propped open overnight and presents a golden opportunity for thieves. Budgeting in business is a difficult task. Businesses aim to make the most of everything they spend and try to reduce spending as much as they can. IT security can easily fall very far down the list of priorities. IT can seem like an easy way to cut costs. It’s a department that the customer doesn’t always benefit from directly and when it is working well it is not on the radar at all. Despite working largely behind the scenes, successful IT is one of the critical components of every highly successful firm. Good IT networks are the binding glue that holds the company together. Even businesses far removed from the IT world typically uses payment machines, ordering systems and inventory. Downtime for any critical system can be a complete disaster with the business unable to trade and the costs can mount up fast. When vital IT components are used by the customer, a sales website or an automated booking system for example, the problem can multiply exponentially. Good IT isn’t built on high peaks and deep troughs in the yearly budget. The kind of IT that makes your business and helps it to grow is built by careful planning and smart financing. Great technicians are what makes excellent IT. Maintaining steady updates, keeping pace with the latest security and building your IT as you build your business keeps you in the driving seat when it matters most. When IT is planned and issues are solved before they appear, security becomes cheaper, easier and much more effective. System upgrades can be planned out months, if not years in advance so that you are never caught unaware. Having the best security software and hardware is pointless if the actual physical access to your IT infrastructure is weak. 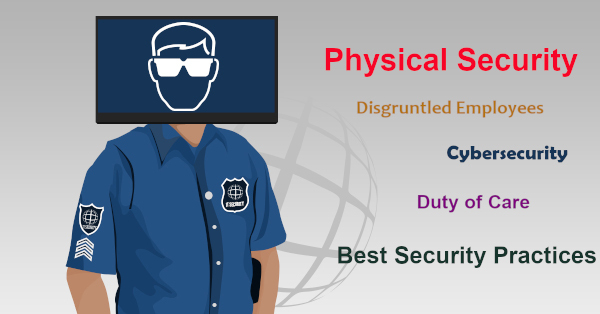 Check out our other blog article on physical security to help protect yourself in all areas. Don’t let your IT break before you take steps to fix it. Move ahead of your competitors and give us a contact us on either 08 8326 4364 or support@dpcomputing.com.au so you don’t have to find out what your business looks like without IT. This entry was posted in Managed IT, Proactive IT Support, Security, Support and tagged adelaide, cyber security, hackers, malware, obsolete software, out of date software, protection, security, south australia, updates by David Perkovic. Bookmark the permalink.